HTC Corporation, today announced that the next generation HTC Sense smartphones and Desire HD, Desire Z will be soon available with Vodafone Essar in Indian market both the samrtphone was announced in September’ 2010. HTC Desire HD showcases outstanding multimedia content with its bright 4.3” LCD display and Dolby Mobile and SRS virtual sound and is the first to be powered by the new 1GHz Qualcomm 8255 Snapdragon processor. The HTC Desire HD enables 720p HD video recording and includes an 8 megapixel camera with dual-flash. HTC Desire Z features a unique ‘pop hinge’ that opens to reveal a QWERTY keyboard for fast, convenient typing. HTC Desire Z also includes 720p HD video recording and a 5-megapixel camera with automatic flash. It is the first phone to utilize the new 800MHz Qualcomm 7230 processor for improved performance and battery life. Both smartphones will benefit from ‘HTC Sense’ user interface and feature suite, some of which include the use of a compass to auto-orientate maps; support for multiple Microsoft Exchange and other email accounts, a consolidated email stream that uses colour tabs to mark messages belonging to the various accounts; real-time preview of camera effects; and HTC fast boot, which hibernates your phone instead of turning it off for a fast 5-second boot-up. 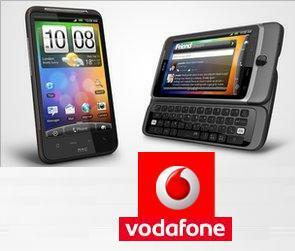 For more details on HTC Desire HD and HTC Desire Z click here . is the htc desire HD available in mumbai and if yes then where.